Thank you for your interest in renewable generation. While Dawson PPD does not generate power, we are interested in renewable energy resources and the benefits they offer our customers. Dawson PPD purchases power from Nebraska Public Power District. 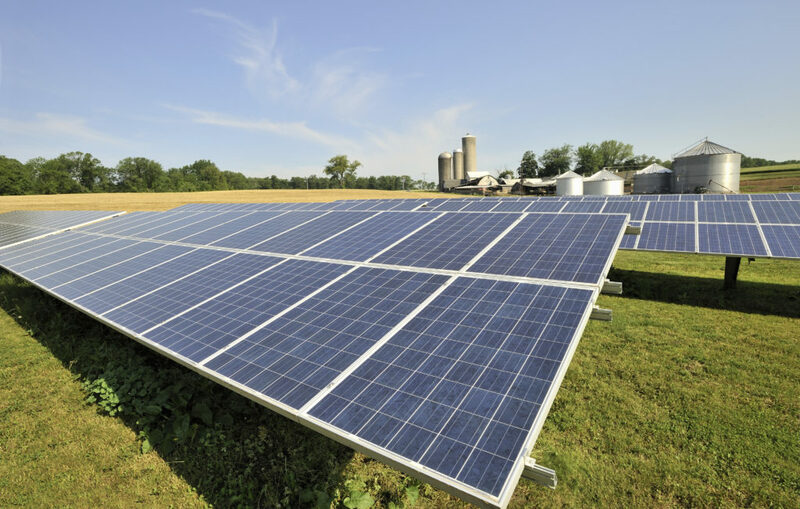 NPPD uses renewable resources such as wind and hydro to provide power to the state’s farms, homes and businesses. To obtain more information about their generating resources and their plans for renewable energy in the future, visit NPPD’s website. In addition, Dawson PPD has a Net Metering Policy that allows customers to generate power for their own use on their own property to offset their power usage and any net excess power can be credited to a customer’s account. Information on distributed generation systems size 25 kW and under can be found below or by calling Dawson PPD for details. For anything larger than 25 kW, please contact Dawson PPD for more information at 308-324-2386. Learn about private renewable generation systems and Nebraska legislative requirements. Visit our Helpful Links section and the buttons below to get started. Acquire a 2-3 year billing history from Dawson PPD to calculate how much of your annual electrical consumption you would like to replace with renewable generation. Use Dawson PPD’s online payment and account management tool, SmartHub, to see your energy usage online or contact Dawson PPD for assistance at 308-324-2386. View your account via SmartHub Perform an economic analysis to calculate the investment rate of return or simple payback period, including any incentives, for installing a renewable generation system. Complete Dawson PPD’s Net Metering Generation Application for Interconnection. A sample of the form is available for viewing in the link below. For an official copy of the form, please call Dawson PPD at 800-752-8305 or 308-324-2386. After you have completed the Net Metering Generation Application for Interconnection, please submit the application for approval from Dawson PPD’s Engineering Department. If low-interest financing is desired, complete the Nebraska Energy Office Dollar and Energy Savings Loan application. Nebraska Energy Office Dollar and Energy Savings Loan If you are a small business or an agricultural producer, you may qualify for a USDA Rural Development REAP grant and/or loan. Hire a qualified person to install the renewable generation system and a licensed electrician to install the AC components of the system. Without proper installation, the renewable generation system may not pass inspection by the Nebraska State Electrical Division (see Step #8). Request a Nebraska State Electrical Division Inspection. This is required by state law. WHEN REQUESTING AN ELECTRICAL INSPECTION, please be sure that the application indicates that you wish to receive an Approval Notice. Having a copy of the Electrical Inspection Approval Notice will help avoid delays with connecting your renewable generation system. A copy of the Approval Notice must be provided to Dawson PPD. Submit copies of the Electrical Inspection Approval Notice and any other applicable inspections to Dawson PPD. Next, sign a Dawson PPD Interconnection and Service Agreement and then Dawson PPD will perform a system Verification Test Procedure. Upon successful completion of this test, approval will be given for the connection of the renewable generation system to your electrical service. After approval, the customer will move onto Dawson PPD’s Net Metering Rider Rate. Copies of the Net Metering Rider Rate may also be requested by calling 308-324-2386. If applicable, apply for available federal and state tax credits. Dawson Public Power District has 15 net metering qualified facilities. The total estimated rated generating capacity of qualified facilities is 158 kW AC. The total estimated net kilowatt-hours received from customer-generators in 2018 is 143,395 kWh. The total estimated amount of energy produced by customer-generators in 2018 is 270,000 kWh.